SanDisk has introduced the latest generation of its storage solutions for the automotive and industrial markets. 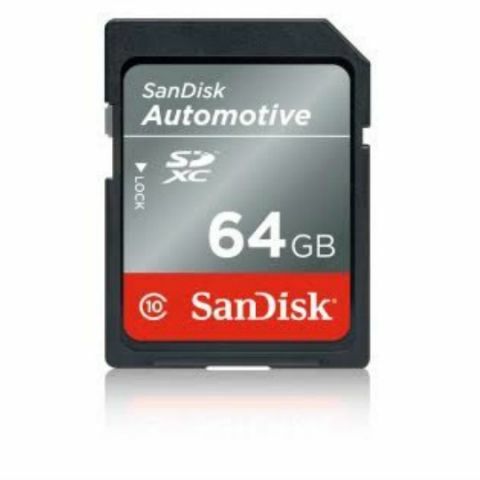 The new SanDisk Automotive flash storage solution is an automotive grade SD card that is optimized to meet the unique storage demands of the “connected car.” The card comes with built-in smart features that enhance reliability and allow OEMs to better manage storage in data sensitive automotive environments. The company also announced that it is also introducing these OEM-optimized features to its SanDisk Industrial and Industrial XT SD cards. SanDisk Corporation, a global leader in flash storage solutions, today expanded the company’s offerings of robust, intelligent solutions designed to address the vast data generated by connected applications in automotive and industrial markets. The company introduced its latest generation SanDisk® Automotive flash storage solution, an automotive grade SD™ card optimized to meet the unique storage demands of the “connected car”. The new card includes a suite of built-in smart features that enhance reliability and allow original equipment manufacturers (OEMs) to better manage their storage in data-intensive automotive environments. SanDisk also announced today that it is bringing these new OEM-optimized features to its SanDisk Industrial and SanDisk Industrial XT SD cards. · well over one billion connected automotive subsystems will be shipped. Samples of SanDisk Automotive, SanDisk Industrial and SanDisk Industrial XT SD card solutions with the new smart features will be available in March in the United States and Europe, in capacities up to 64GB4. For additional product details, specifications and information visit www.sandisk.com/oem-design or contact a SanDisk sales representative. The new solutions will also be part of a full line of SanDisk flash storage solutions on display at the Embedded World, Hall 4, Stand #4A-448.